If you asked someone to name Apple’s computer platforms, you’d probably get three answers: Apple II, Mac, and iOS. But the true history of Apple’s computing platform heritage is much more rich and varied than most people realize. Over the past 36 years, Apple has created at least 13 distinct platforms, each hosting its own unique variety of software. 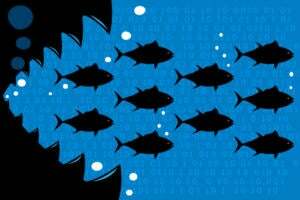 Some of these surprisingly forgotten ecosystems met quick deaths at the hands of an unforgiving market, while others persist under our noses in the consumer electronics sector. The Apple I originated as a microcomputer hobby platform created by Steve Wozniak for his own use. 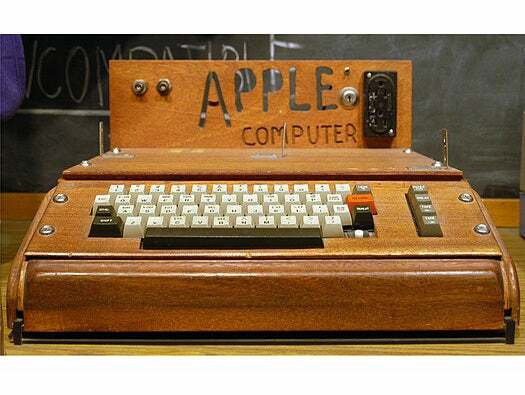 Steve Jobs convinced Wozniak to turn it into a product, and Apple was born. The Apple I platform wasn’t very large, as it lasted only a year and the machine rarely made its way outside of California hobbyist circles. The computer, which shipped as a populated circuit board without a case, power supply, or keyboard, received only a few official software applications from Apple. When it came time to design a follow-up to the Apple I, Steve Wozniak drew on his love of video games to create the world’s least expensive color computer system. The Apple II retained the same 8-bit MOS 6502 CPU as its predecessor, but added a series of seven expansion slots that extended the lifespan of the platform. Oh, and it also included a case, a keyboard, and a power supply. With seven major American variations on the Apple II platform, the Apple II became the center of an ecosystem populated by numerous first- and third-party software packages and accessories. The Apple III represented Apple’s first attempt to cater to the business PC market. As such, Apple intentionally hobbled compatibility with the earlier Apple II in order to differentiate it in price and market. High price, limited third-party support, and a defective batch of early Apple III units led to tepid adoption of the Apple III and to its ultimate discontinuation in 1984. However, its flexible and well-received operating system (SOS, short for Sophisticated Operating System) served as the inspiration for ProDOS on the Apple II, which helped to extend that platform’s lifespan into the early 1990s. The Apple Lisa met its ultimate genesis when Steve Jobs and a few other Apple employees took a stroll through Xerox PARC, a research and development center for the copier giant. There, they saw an advanced machine called the Alto which utilized a bitmapped graphical interface and a pointing device called a mouse. 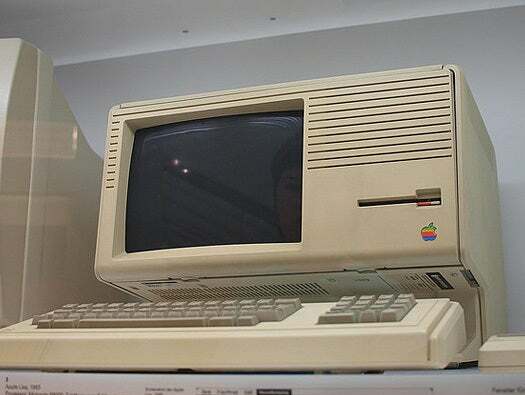 Apple soon created its own bitmapped windowing platform, the Lisa, which became one of the first two commercial microcomputer systems equipped with a graphical user interface (GUI). Its high price ($10,000 when first launched ), slow speed, and troublesome proprietary floppy drives hobbled the platform out of the gate. The Macintosh platform first emerged in 1984, and it has been with us in some form or another ever since. 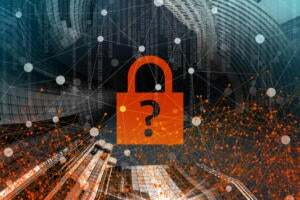 Over these past 22 years, the platform has seen three major hardware shifts (those between 68K, PowerPC, and x86 CPUs) and one major operating system shift (between Classic OS and OS X). While some could argue that these three CPU types constitute three separate platforms (and technically, they do), Apple accompanied each hardware shift with emulation layers that preserved backwards compatibility, thus maintaining the spirit of Macintosh between hardware revisions. This post-Mac machine expanded significantly upon its 8-bit processor by using a 16-bit processor that allowed utilization of more system memory and faster program execution. A new graphics chip and an impressive sound synthesizer further differentiated the IIgs from its 8-bit cousins. As a member of the Apple II family, the IIgs’s WDC 65816 processor contained an emulation mode that could execute programs written for the original Apple II’s 6502 processor at roughly twice the speed, thus carrying on the vast legacy of Apple II software products. This little-known diagnostic tool, which allowed technicians to troubleshoot Mac systems, unintentionally represented Apple’s first handheld mobile computer platform. While most consider this small device an accessory, the TechStep itself contains an embedded computer running specialized software from Apple-provided ROM software packs. No third-party development occurred for this limited diagnostic platform. The Newton spawned a vibrant third-party software community, albeit one that was small in size because of relatively limited sales of Newton hardware. Frequently lampooned in the media for its sometimes inaccurate (but still pretty good for the time) handwriting recognition, the Newton never reached a broad customer base. Still, its high profile in the media catalyzed the larger PDA market of the 1990s. Near the end of its life, the Newton family gained a unique new member, the eMate 300. Unlike the Newton before it, the eMate shipped in a notebook-style clamshell form factor. Upon his return to Apple in 1997, Steve Jobs quickly axed the Newton in order to provide focus for the company. Portions of the Newton’s software technology live on in OS X, and experience with the Newton (on what and what not to do) helped shape the form of Apple’s next major mobile computing initiative over a decade later. In the mid-1990s, Apple hopped on a brief, Web-fueled craze that sought to provide simple, cheap hardware that would allow users to get on the Internet, usually through their TV sets. And while they were at it, why not throw in CD-based multimedia entertainment, too? 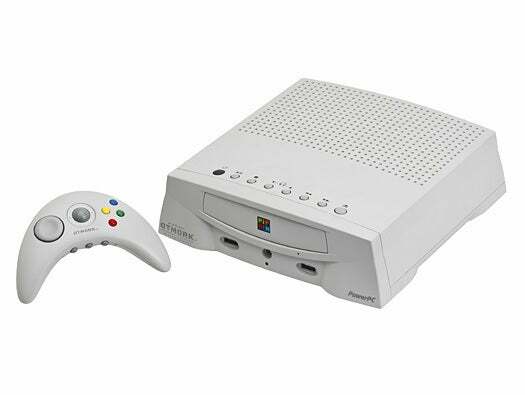 The company jumped into this mythical market with the Apple Pippin, a Mac-based hardware reference platform (running a modified version of Mac OS 7.5.x) that spelled out the basics of a stand-alone, console-style computer with a gamepad that hooked to a television set. Apple never sold its own Pippin hardware, instead leaving that to licensee Bandai in Japan and North America. With the Apple Network Server series, Apple attempted to cater to the medium-range server market that would later be covered by the XServe. The machines themselves used underlying Macintosh technology, including PowerPC CPUs, but since they exclusively ran a modified version of IBM’s AIX operating system (IBM’s proprietary implementation of UNIX), Apple never referred to the machines as Macs. Only two machines in this series, the 500 and the 700, reached the market. Their high price and bizarre mixed pedigree limited their appeal, and the platform met its end with Steve Jobs’ return to Apple in 1997. As a consumer electronics gadget with a streamlined interface and (very) limited third-party software support, the classic iPod series is something that few people think of as a computer platform. But underneath those fancy click wheels lay the beating heart of a computing machine. Every member of the classic iPod family (save one, the first iPod Shuffle) has sported an ARM-based CPU, most in configurations designed by PortalPlayer. Similarly, almost all classic iPods run a custom version of the Pixo OS, an embedded operating system initially licensed by Apple (and later bought outright from the Pixo company itself). The Apple TV digital media box began its life as a special-purpose x86-based computer running a modified version of OS X. In 2010, the platform fractured drastically, shifting to an ARM/iOS combination that more closely resembled an iPhone than a Mac. So far, Apple’s diminutive TV box isn’t an open or even moderated platform, but with an app-like home screen in the most recent OS version, many suspect that that status will change at some point. iOS began is life as iPhone OS, which itself stemmed from Apple’s OS X desktop OS. This touchscreen operating system powers three distinct hardware subplatforms: iPhone, iPod touch, and iPad. 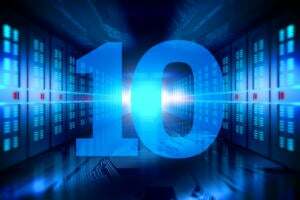 Each contains a CPU based on the ARM microprocessor architecture. Many iOS apps can run on all three subplatforms, while others are limited to or optimized for a certain iOS device class. 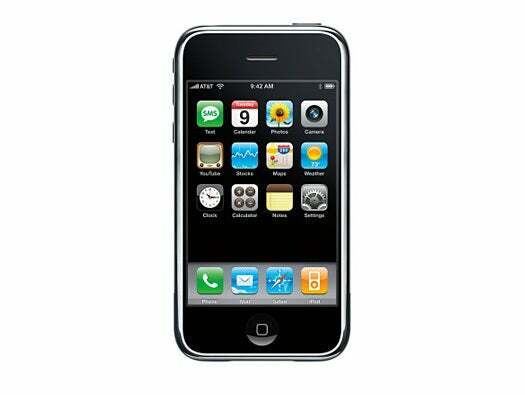 iOS initially shipped on the 2007 iPhone without the App Store or any means of installing third-party applications. In 2008, Apple launched the App Store, and iOS quickly became one of the most populous software platforms of all time.